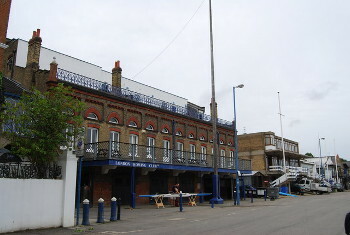 We are holding a public meeting at London Rowing Club, Putney Embankment (SW15 1LB) on Tuesday 26 February (6.30pm). Open to all, it’s your chance to discuss current and future matters related to the Upper District of the tidal Thames (Putney to Teddington). Presentations will be followed by a question and answer session. Robin Mortimer (chief executive) will chair the meeting with Bob Baker (chief harbour master), assisted by experts from our recreation, planning and environment teams..
To help us field the right team to answer your questions, please contact Sam Broome to let us know in advance if there is a specific topic you would like us to address. Meetings to discuss matters downstream of Putney will be held later in the year. Refreshments will be available from 6pm. The nearest public transport links to the venue are: Putney Bridge (tube), Putney (rail) and the Thames Clipper service calling at Putney Pier.